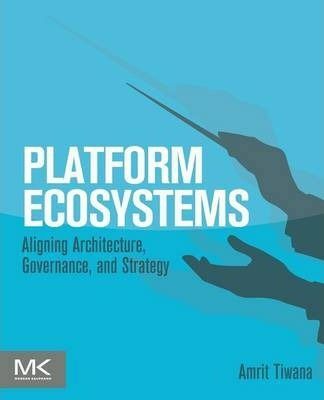 Platform Ecosystems is a hands-on guide that offers a complete roadmap for designing and orchestrating vibrant software platform ecosystems. Unlike software products that are managed, the evolution of ecosystems and their myriad participants must be orchestrated through a thoughtful alignment of architecture and governance. Whether you are an IT professional or a general manager, you will benefit from this book because platform strategy here lies at the intersection of software architecture and business strategy. It offers actionable tools to develop your own platform strategy, backed by original research, tangible metrics, rich data, and cases. You will learn how architectural choices create organically-evolvable, vibrant ecosystems. You will also learn to apply state-of-the-art research in software engineering, strategy, and evolutionary biology to leverage ecosystem dynamics unique to platforms. Read this book to learn how to: Evolve software products and services into vibrant platform ecosystemsOrchestrate platform architecture and governance to sustain competitive advantageGovern platform evolution using a powerful 3-dimensional framework If you're ready to transform platform strategy from newspaper gossip and business school theory to real-world competitive advantage, start right here!